Anybody else has this problem. If not where do I look to fix this? I have moved your topic out of the FSX/P3D Missions forum. Real World weather hasn't been up to snuff for quite a while. I have had that error only once or twice and I fixed it by just restarting the Sim. The weather servers are no longer updating to the actual correct weather. MicroSoft's contract with Jeppessen expired years ago and was not renewed. Since then, actually getting real world weather through FSX has been a hit or miss affair. In order to reliably have real world weather, you really need an add-on weather program. I think this warning message is to become the "new norm". I just click OK and take whatever weather comes my way. I also checked the weather during the flight and it changed each time I checked it. Oh, well, life is tough. It's free, and it works for injecting Real World Weather back into FSX. Too complicated to install. How about an easier to install and operated? Like Stelios I find FSXWX too complex to install, and I'm afrais of ruining something else amd having to reinstall the Whole thing, has anyone heard or read anything if MS is signing Peace with Jeppesen? I was trying to edit my post but the option didn't appear. Than I tried to find it under quote and posted by mistake...Now I have deleted the double post, Sorry. I am attempting to install FSXWX as a replacement to MS/Jeppesen weather; So far I have been unsuccesfull, ater I run the installer I redirect it to my C:\ Where my FSX Accel. is installed, it is not installed in Program files since I am running Windows 7, so I redirect the installer there once there I run it, doesn't connect...? Can anyone come with advice ? I deleted your double post! Thank you Charlieron. The Edit option at least for m only appears only for a few minutes after I post a post. Enko, Great guide to installing FSXWX, Ill certaingly give it a try. It's free for weather covering the UK, but £5 for a year's subscription to access the rest of the world weather. Also saw the written instructions,which I find easier to fallow...Still trying to understand how it downloads Real Weather and how I inject it into FSX...Just by Download real Weather option/ Download real Weather every 15 minutes option ?? 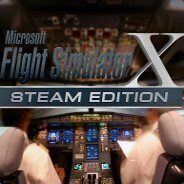 Doubtful - MS doesn't maintain FSX anymore. They wouldn't spend money if they would not be getting enough profit out of it to make it worthwhile. There should either be a new option in the Weather Settings to select the weather for your add-on. I have that for Active Sky and also REX Sky Force. Otherwise, try selecting Clear All Weathers. The sim will not use its default weather at all and your add-on can inject its own weather over that. I second FSXWX, it's superb and free. The install is very simple following the instructions on the website, basically you just pop all the files in any older folder you wish, and replace two files in your FSX/P3D installation - simples! There is also a Youtube video guide someone posted above. Simconnect is part of FSX, you need to have FSX running first before you can connect FSXWX to it. ckyliu thanks for your reply and guide, how does one connect FSXWX to FSX ? Sorry I'm hard headed, Is there a folder ? When I run the .exe I get a completely different menu page than that shown in the video ? Yes it does work with registered version. To start click the FSXWX exe and after your FSX is running hit connect. Once you go to a location in FSX it should detect and inject automatically assuming FSUIPC is installed. @Berlopez You just run FSXWX.exe and click the "connect" button, that's it. Finally manages to inject weather into FSX using FSXWX ! Don't really now how accurate this weather engine is? I just made a flight, downloaded weather like I did yesterday; Day image... No overcast still...got very clear skies, could see stars.When I pressed connect it SIM connected and found all nessesaries, I think?? I had forgotten to Reload, in order to get the weather to show Will FSX depict HAZY&Cloudy weather?